italist provide direct-to-consumer imports of luxury goods exclusively from Italy. Through italist, customers can purchase brand-new, genuine, in-season fashion and accessories from partner boutiques in Italy. The luxury designer site offer lower retail prices through their partnership boutiques; up to 30% less, so italist always provide the best possible value. Expertly-curated luxury, imported from Italy at the best price, and delivered to your doorstep. If you’ve read the above I expect you’ll be intrigued, as we were. Such a clever business model has already attracted a lot of attention within the industry. ‘Stocking’ such a large a number of brands opens up the market and makes contemporary and luxury labels a lot more accessible for customers all over the world and after having a look around the site we were able to spot a number of our favourite brands; AMI, Kent & Curwen and A.P.C. just to name a few! As we got chatting to the guys over at italist we got onto to the topic of seasonal trends and what every discerning gent should have in their wardrobe this AW18. Something we quickly agreed upon was how the shearling jacket has fast become a menswear staple. Now considered a timeless piece, we scoured italist to bring you the top three shearling jackets we’d like to have in our own wardrobe. Bully is one of the latest leather jacket brands to come out of Italy. 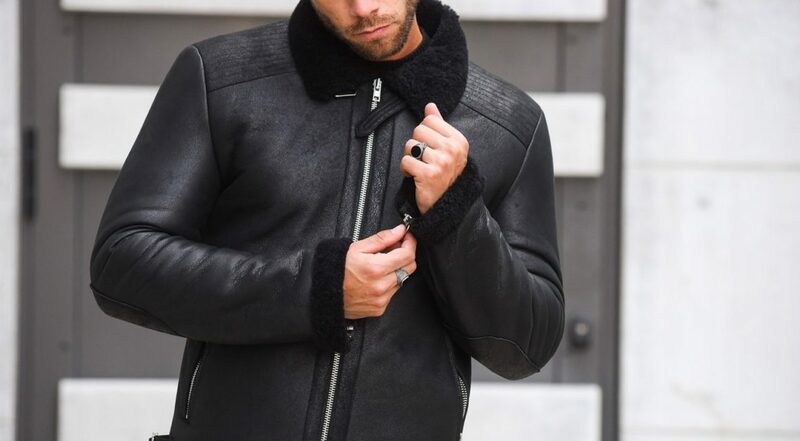 With a focus on quality Bully have released a black leather jacket that can go with any outfit. Such a flexible piece, the jacket can be the ultimate statement piece in a layered outfit and allows you to combat the colder temperatures in style. AMI, one of our all time favourite brands here at OTC, never fail to impress. This camel shearling piece is no exception. An elasticated hem paired with elasticated cuffs results in a unique silhouette and a detachable shearling collar means the jacket can instantly be transformed to suit your look. A jacket of pure luxury. The Schott NYC jacket is certainly an investment piece but a piece well worth the investment. With ‘oversized’ being such a current trend it may be worth selecting a size up from normal to really add a statement element to your look. For a wider selection of incredible jackets check out italist here. For more of our men’s style features click here.